We’ve been on the receiving end of numerous condolences lately. By being on the receiving end of so many cards, calls, emails, memorial donations, flowers, personal service gifts, and oral expressions of heartfelt sympathy I’ve learned a lot. I’m so grateful for the amazing outpouring of support—from people I’ve known all my life to virtual strangers and a continuum of relationships in between. Although I am thankful for every single person who took the time to connect with me and my family during this difficult time, I would like to share the connections that have been most meaningful to me and also something I now have the awareness to avoid in the future when I express my condolences. Regardless of your method of communication with the deceased’s family, it is more meaningful if you take the time to include a personal message. Share a personal story of how the deceased made an impact on your life or a special memory you have of the deceased. Tell the family how you felt about the deceased (if you knew and have warm feelings toward the deceased). Relate the impact regarding a loss in your own life which you feel is similar. Your experience may be similar due to the nature of the relationship or the circumstances of the death. Know the relationship. If you loved your dead mother and you’re expressing your condolences to someone regarding the death of his/her mother, only do so if you know the bereaved had a similar maternal relationship. If you don’t know the relationship status of the family with the deceased, refrain from assuming that your feelings about your loss and their feelings about their loss are similar. Know the circumstances. If your loved one died suddenly and the recently deceased died after a long battle with an illness, the family’s feelings about the death may be very different. If you know the person’s feelings about God, Angels, heaven, mediumship or other topics that are related to death, you can incorporate a sentiment about one of those topics into your personal message. Be honest in your expressions of sympathy. Offer your assistance if you truly want to help the bereaved. However, if you offer to do something, make sure to follow through on that commitment. Don’t make empty promises you have no intention of acting upon or offer to help if you are hoping the person who is grieving doesn’t take you up on your offer. If you ask how you can help and a request is made, follow through. People who are grieving don’t have the time nor the energy to follow up to make sure you’re dependable and are going to follow through on your promises. Emotions are especially raw after the death of a loved one. 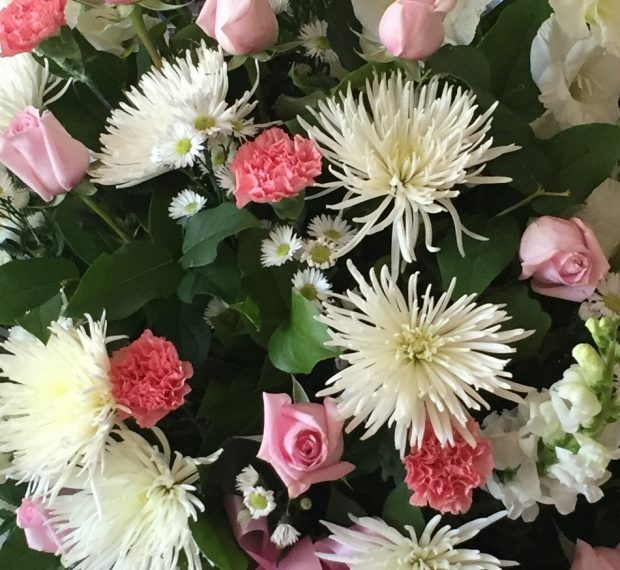 Thoughtful and kind gestures might be more impactful during this period of grief than at any other time. However, the flipside of that dramatic impact is that somewhat insignificant careless and thoughtless actions and inactions might cause irreparable damage to a relationship. I think an easy assumption to make is that the person who shares DNA with the deceased might be grieving more intensely than the in-law to the deceased. However, if a couple has been together for a lengthy duration, the in-law’s relationship with the deceased may be just as close or sometimes even closer than the relationship the blood relative had with the deceased. Regardless of who in the household may be grieving the loss and to what degree, it’s best to err on the side of including everyone. Address the card to everyone who lives in the household. Although I have to believe that nobody would use this period of grief to intentionally discount my feelings, I was excluded from a couple of the condolences we received. Receiving cards addressed only to Kent hurt my feelings and left me bewildered as to why someone would assume that the death of Kent’s Dad was only affecting Kent. In my grief, I wondered if it was a clueless oversight or a careless mistake or some intentional unkind gesture. I have to believe that there was no harm intended. But when I received those cards, it really hurt my feelings, and it didn’t really matter at the time whether my name had been left off inadvertently or intentionally. However, this hurt of being excluded also gave me awareness and made me wonder if I had committed the same insensitive act in the past—especially when I’ve only known one person in the household. Lesson learned for me for the future.